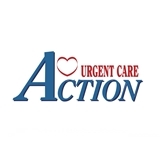 Action Urgent Care medical clinic provides San Jose with immediate affordable medical care. If you need to see a medical professional for a non-life-threatening emergency, come see us today! We have the best Urgent Care prices in the Bay Area and we take all major insurances.